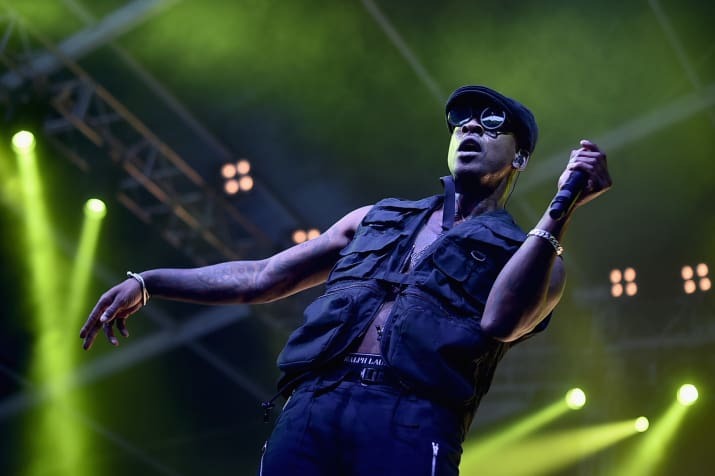 UK rapper Skepta’s upcoming Australian tour will go ahead after a decision banning him from entering the country because of his criminal history was overturned. The musician, whose real name is Joseph Junior Adenuga, is a leading figure in the UK grime scene and has had 10 top-40 singles in the UK. His 2016 album Konnichiwa won the Mercury Prize, which recognises the best album of the year by a UK artist, and he has collaborated with Ed Sheeran, Drake, Mick Jagger and others. In April he was denied a visa for an Australian tour set to begin at the end of the month. A delegate for Home Affairs Minister Peter Dutton knocked back Adenuga’s application on character grounds because of his criminal history, saying he represented “a risk of harm to the Australian community which is unacceptable”. In 2016, while on tour in Australia, Adenuga punched a man in the mouth at a nightclub in Melbourne, knocking out three of his teeth. He pleaded guilty to recklessly causing injury, was fined $2,500 and ordered to pay his victim $10,000. No conviction was recorded. In 2009, he pleaded guilty to common assault over a fight on a London street and ordered to do 200 hours of community work. In 2006, he was fined for his involvement in a late-night altercation in Cyprus. Fuzzy, the promoter for Skepta’s upcoming tour, appealed the Government’s decision to the Administrative Appeals Tribunal earlier this year. At a hearing in August, Adenuga said his actions in those cases were “spontaneous and impulsive”, and he had grown “emotionally and spiritually” in the past two years. “I have channelled all my energies since early January 2016 towards excellence in the entertainment and music industry worldwide,” he said. He also said he had become an activist “who uses a high-profile platform to raise awareness around issues associated with racism, youth socio-economic disadvantage and homelessness”. Tour promoter Ming Gan noted the artist was influential and respected, and Fuzzy’s filing included supporting statements from a producer at the Sydney Opera House, an official at the Musicians Union of Australia and the CEO of Sony Music Entertainment UK. In a decision published on Friday, tribunal deputy president Justice Janine Stevenson accepted Adenuga had failed a character test set out in the Migration Act but said there was a low risk he would reoffend while on tour in Australia. She based that on the fact his victim in Melbourne had agreed to an in-person meeting and apology while Adenuga was in Australia, as well as the musician’s guilty pleas and the remorse he expressed. She also took into account the rapper had said he “intend[ed] to rest as much as possible” while in the country, “rather than attend nightclubs and similar venues”. The decision comes a week after Chelsea Manning was unable to attend high-profile speaking engagements in Australia after a delay in granting the former soldier and intelligence analyst a visa. In a statement, Mr Gan told the ABC he could not comment on the 2016 tour, but said Fuzzy always believed the Home Affairs decision earlier this year was incorrect. The Department of Home Affairs said all non-citizens entering Australian must meet the character requirements in the act. “A person can fail the character test for a number of reasons, including but not limited to where a non-citizen has a substantial criminal record or where their conduct represents a risk to the Australian community,” a spokesperson said in a statement. Mr. Jason Donnelly appeared for Skepta in the appeal proceedings.